Steel-Line Garage Doors is the winner of Master Builders State Housing Award. Master Builders is the major Australian building and construction industry association. Its primary role is to promote the viewpoints and interests of the building and construction industry and to provide services to members in a broad range of areas including training, legal services, industrial relations, building codes and standards, industry economics and international relations. 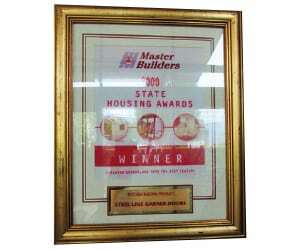 Steel-Line Garage Doors is the winner of Master Builders Housing & Construction Award. 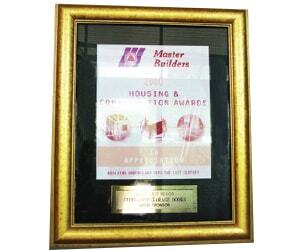 Master Builders Housing & Construction Awards recognise those at the forefront of building innovation and quality craftsmanship, promoting and showcasing excellence in the housing and construction industry. 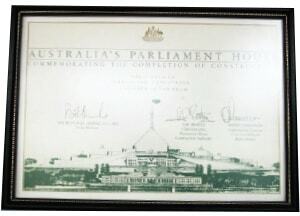 Steel-Line Garage Doors received the award for innovation from the Australian Government.